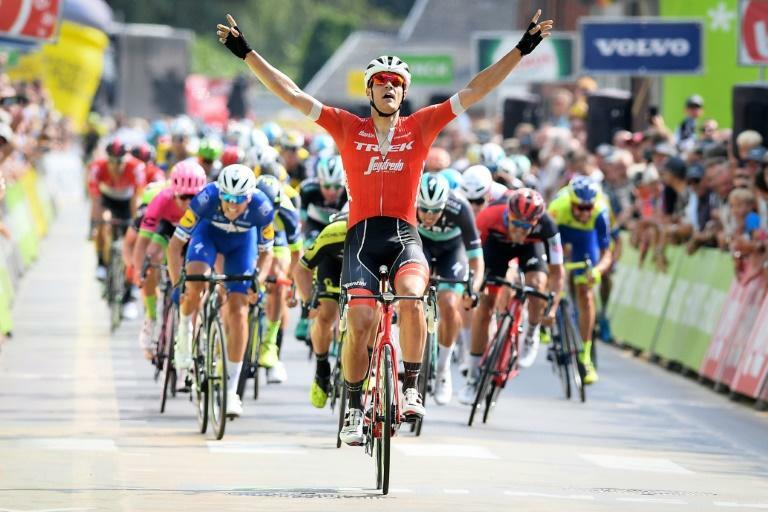 Belgium's Jasper Stuyven, riding for the Trek team, delighted home fans by winning the fourth stage of the BinckBank Tour on Thursday as Slovenia's Matej Mohoric, from the Bahrain team, kept the overall lead. Stuyven made a late break on the 165.5km run from Blankenberge to Ardooie with Australia's Caleb Ewan taking second while Zdenek Stybar of the Czech Republic was third. Mohoric stays three seconds ahead of Belgium's Sean De Bie in the overall standings and 22 seconds in front of Swiss rider Stefan Kung. Friday's fifth stage is 204.4km from Sint-Pieters-Leeuw to Lanaken.